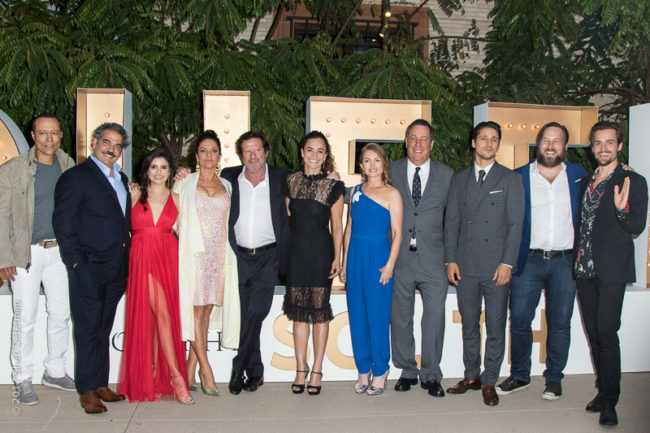 Tuesday, June 6th 2017 at the Wallis Annenberg Center in Beverly Hills we joined an epic night of celebration to welcome the second season of TVs highly anticipated narco-drama “Queen of the South” with premiere screening and a fabulous Latin Style after party. 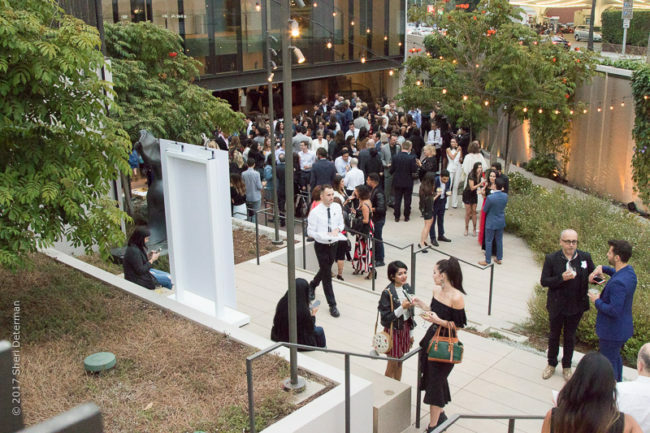 A start studded night with Alice Braga, Joaquim de Almeida, Jon Ecker, Veronica Falcon, Peter Gadiot, Hemky Madera, Nick Sagar, Snow tha Product, Yancey Arias, Michel Duval, Sandy Valles, McLyte Giorgio Moroder, as well as guests Rafael Amaya, Carlos Ponce, Angelica Vale, Jorge Bernal, Stephen Bauer and more. In a glamorous atmosphere of stars, guests were in for a royal treatment. Welcomed on a white carpet and a single flower boutonnière, followed by a Queenpin or Scorpion Cocktail and let’s not forget the overflowing bubbly, exclusive seating at the premiere, and hors d’oeuvres. The after party rocked with live performances by Snow Tha Product whom composed the female anthem “Run That” featured on season 2. Tonight the Queen returns to claim her throne as TV’s hottest star, we will witness Teresa’s rise to Queen Pin and the sacrifices she must make not only to survive, but to make it to the top. Season 2 will feature a Rafael Amaya (El Senor del los Cielos) returning to the screen again to reprise his crossover role, in addition to the return of El Guero, played by Jon Ecker. The show also inked a deal with highly-coveted Latina executive producer Natalie Chaidez to executive produce the series along with David T. Friendly. Based on the international bestselling novel La Reina del Sur by Arturo Perez-Reverte, Queen of the South tells the story of Teresa Mendoza (Alice Braga, City of God), who rises from a poor money-changer on the streets of Sinaloa, Mexico, to one of the world’s most powerful drug lords. Queen of the South premieres Tonight June 8 at 10/9 C on USA Network.